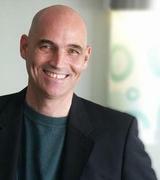 Bruce Coughran is the Artistic Director of Indra’s Net Theater, and also a freelance director in Berkeley, California. For Indra’s Net Theater he has directed Michael Frayn’s Copenhagen, a staged reading of In the Matter of J. Robert Oppenheimer, starring James Carpenter as Oppenheimer, and the Bay Area premiere of Peter Parnell’s QED, starring Jeff Garrett, and the world premiere of Jennifer Blackmer’s Delicate Particle Logic, as well as the world premiere of The Secret of Life, which he also wrote. These plays have received 6 TBA Award nominations, a Broadway West Award nomination, and 3 Bay Area Theatre Critics Circle Award nominations. In addition he has directed Brecht’s Life of Galileo at Masquers Playhouse, Antigone (by Jean Anouilh) at Actors Ensemble of Berkeley, Bad Connections (world premiere) West Valley College, A Hot Day in Ephesus (world premiere musical), Hickory Miles at Novato Theatre Company (world premiere), and the world premiere musical What Women Want: The Marriage of Sir Gawain. Before coming to the Bay Area he directed plays in Southern California at The Bitter Truth Playhouse, Playhouse West, The Larry Moss Studio, San Diego Actors Festival, and the world premiere of Dénouement (starring Richard Herd and Ethan Phillips) at First Stage LA. Bruce has also directed dozens of staged readings in the Bay Area, including Shakespeare, new plays, new musicals, and contemporary classics. Bruce has also directed four short films, including the 2013 PlayGround film ‘Undone’, and produced an award-winning feature film called ‘East of Sunset’ (2005) (Awards: Best Actress, MethodFest 2005; Maverick Award for Quality in a Low Budget Film). In addition to his work in theater and film, Bruce has degrees in Biology (BA UCSD), History (MA CSU Dominguez Hills), and Arranging and Composition (Grove School of Music). He is a member of Directors Lab West and Directors Lab Chicago, recipient of a SDC Observership, a TBA ATLAS fellow, and a Titan award finalist. He is a proud member of the Society of Stage Directors and Choreographers.